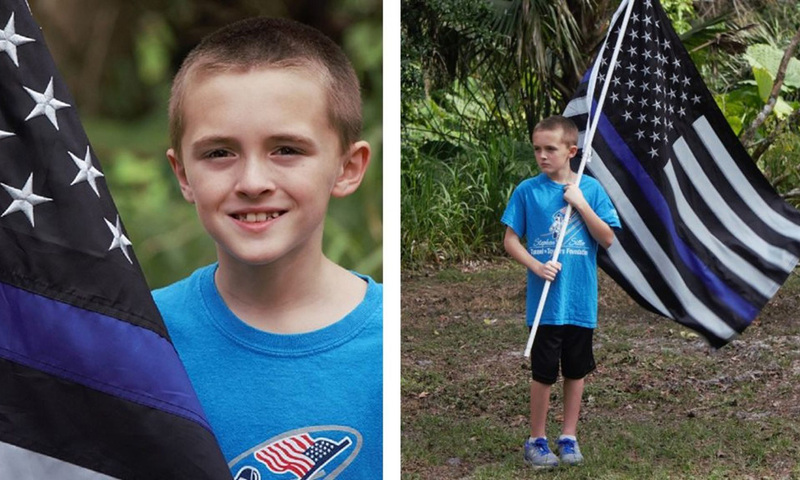 A 10-year-old boy in Florida has reportedly found his own way to pay homage to fallen law enforcement officers – by running a mile for them. Zechariah has already run several miles this year in honor of deceased officers, according to his Facebook page, Running for Heroes. The page also contains numerous videos of Zechariah carrying out his goal. Included on that list are two Alabama officers – Birmingham Police Sergeant Wytasha Carter and Mobile Police Officer Sean Tuder. Zechariah learned about Tuder on Sunday upon completing his mile for Carter, so he decided to keep going and finish two miles in one day, according to WKRG. Ahead of the run for Tuder, Zechariah reportedly shed some light on his reasoning. “The reason why I wanted to do it tonight is because I am furious about this…the war against police somehow is not going to peace like it just keeps going on. This needs to stop,” the 10-year-old said.